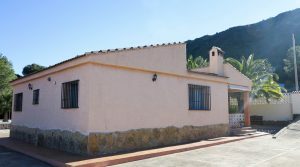 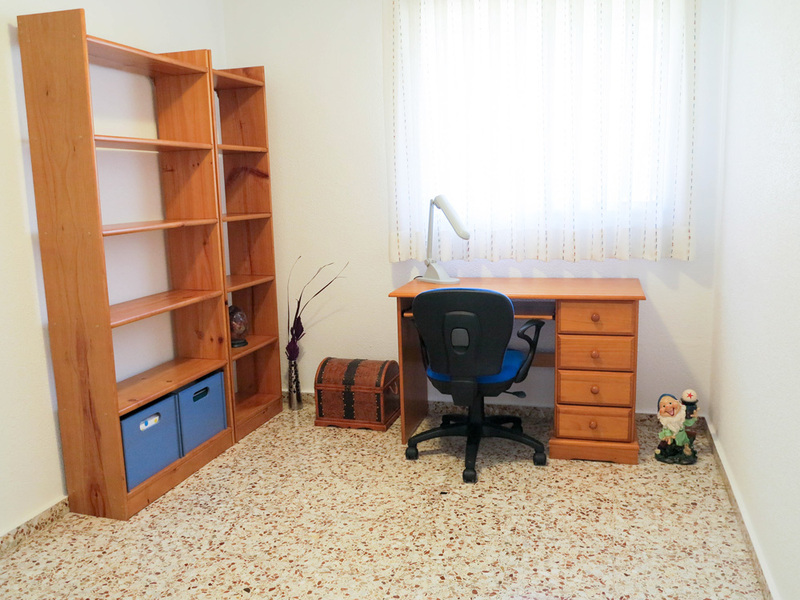 Immaculately presented traditional property for sale Valencia, a short walk from the town centre of Monserrat. 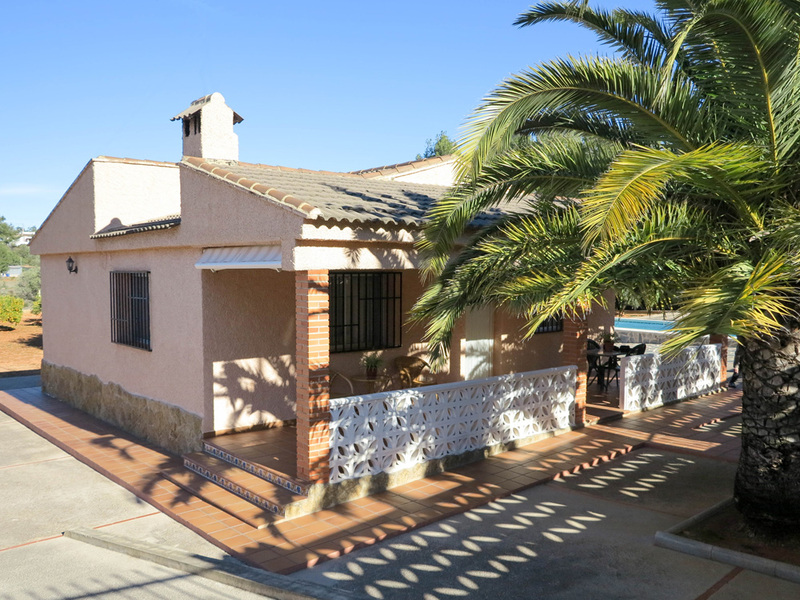 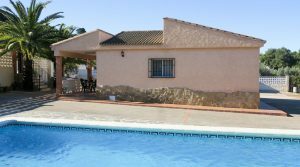 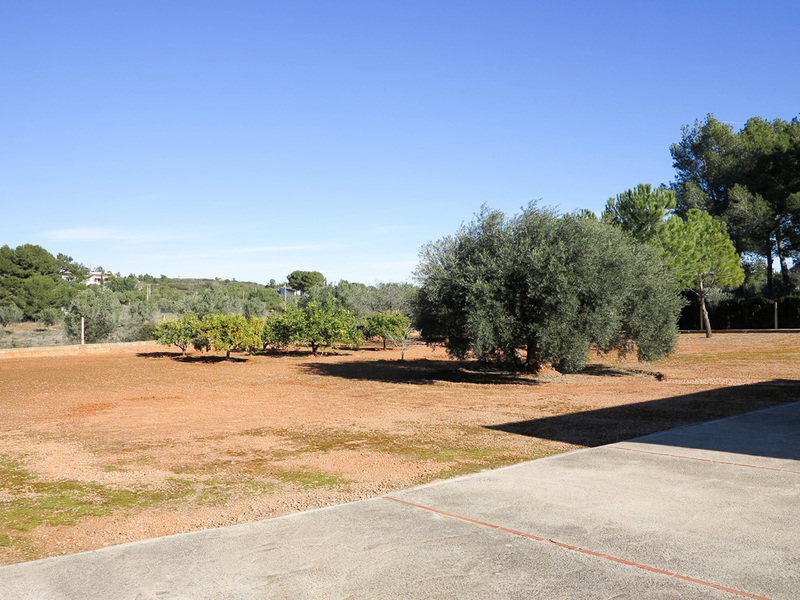 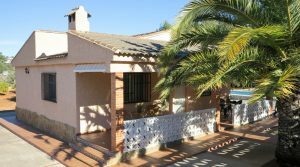 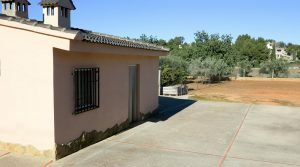 This property enjoys a good location on a quiet cul de sac road shared with a collection of other villas all enjoying lovely countryside views. 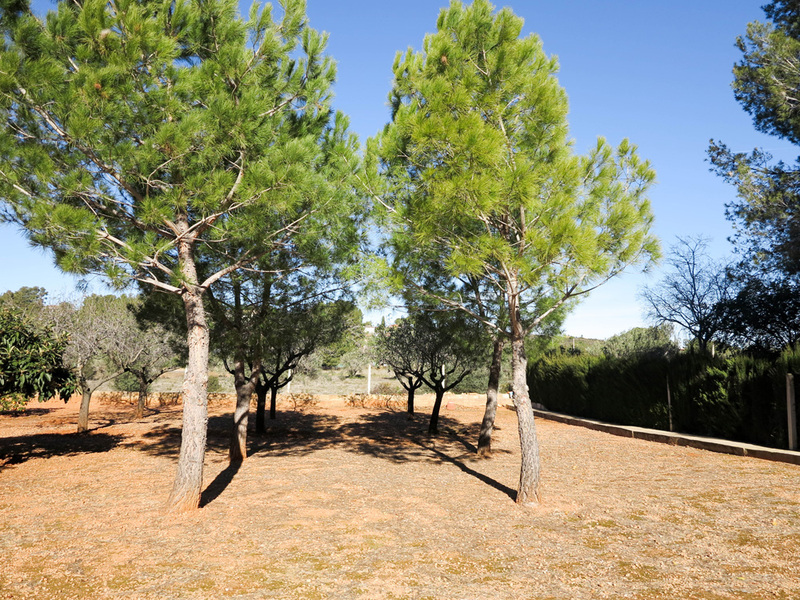 The property is presented beautifully both inside and outside with well-tended trees in the garden. 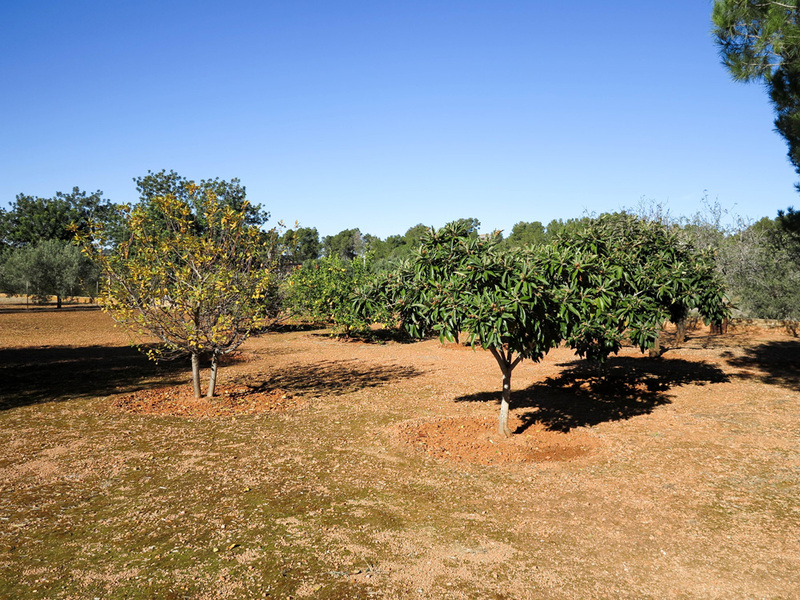 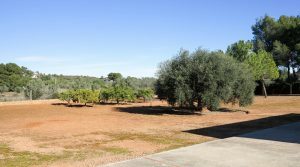 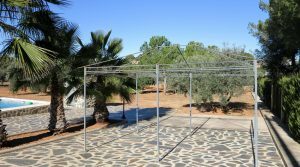 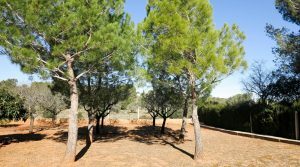 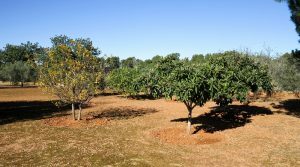 Situated on a completely flat plot with a collection of trees including almond, lemon, orange, mandarine and apple trees, complemented by palm trees. 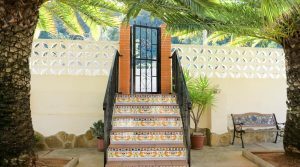 You have a double gated entrance for your car opening onto a slight gradient ramp driveway to the side of the main villa. 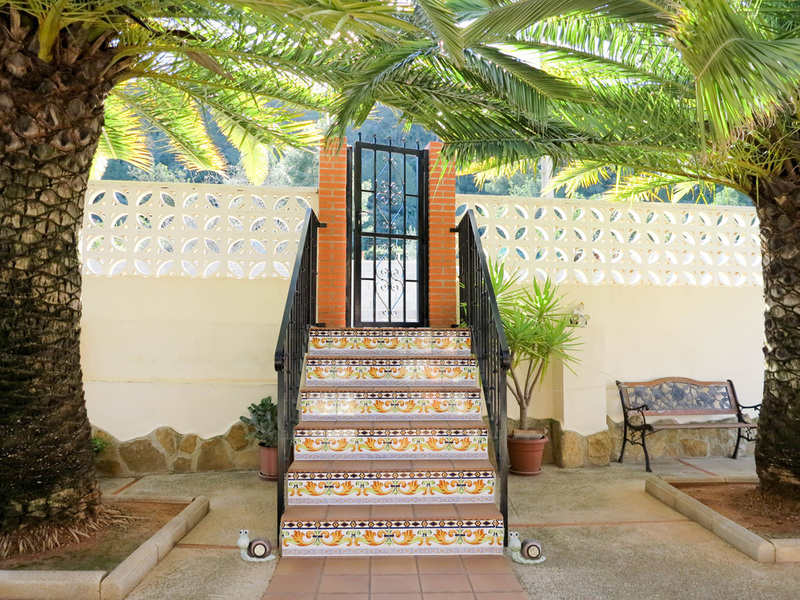 There is also a pedestrian entrance gate at the front, with a small staircase taking you to the front of the villa. 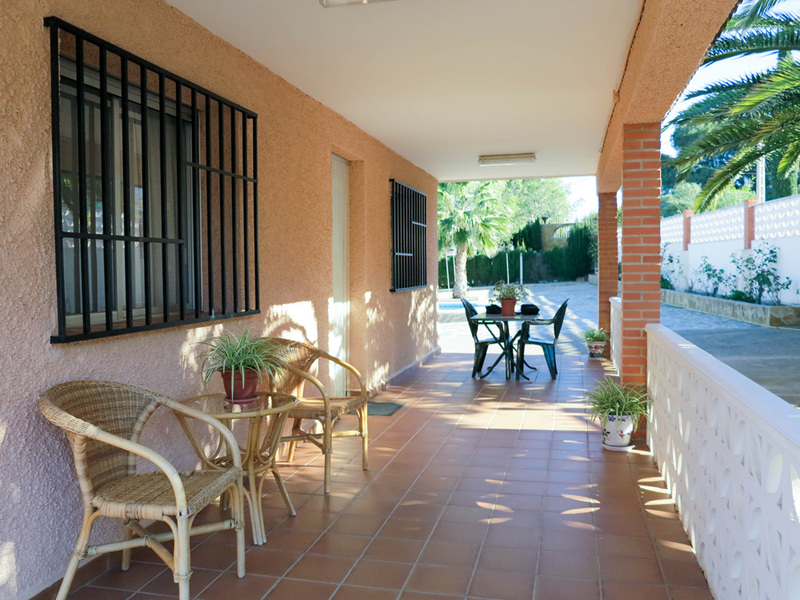 You have a good sized tiled covered terrace here before entering into the reception hallway of the main villa. 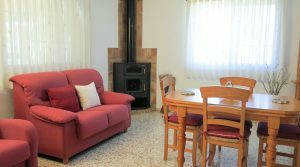 Once inside, there is a large lounge/dining room to the left which is complete with a log burning stove. 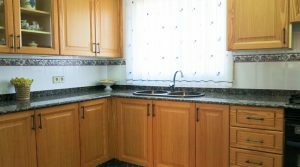 Then you have a fully fitted kitchen complete with granite work surfaces. 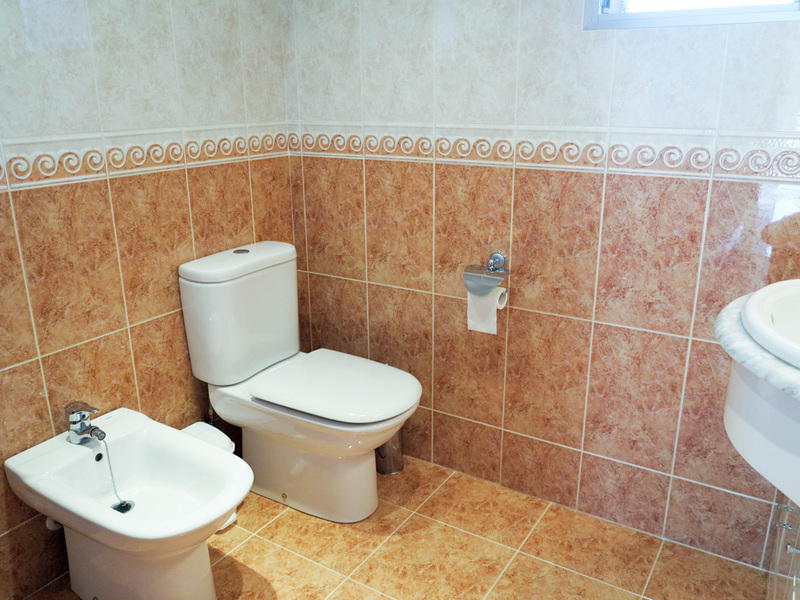 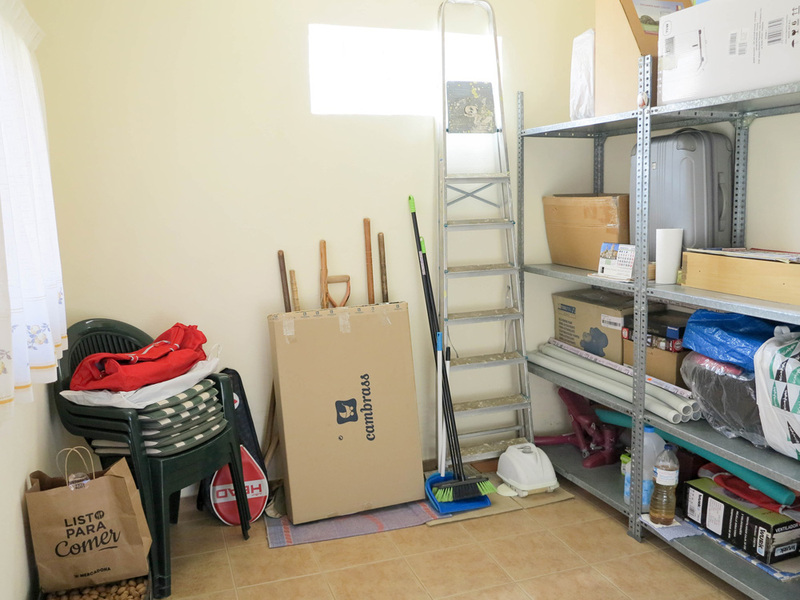 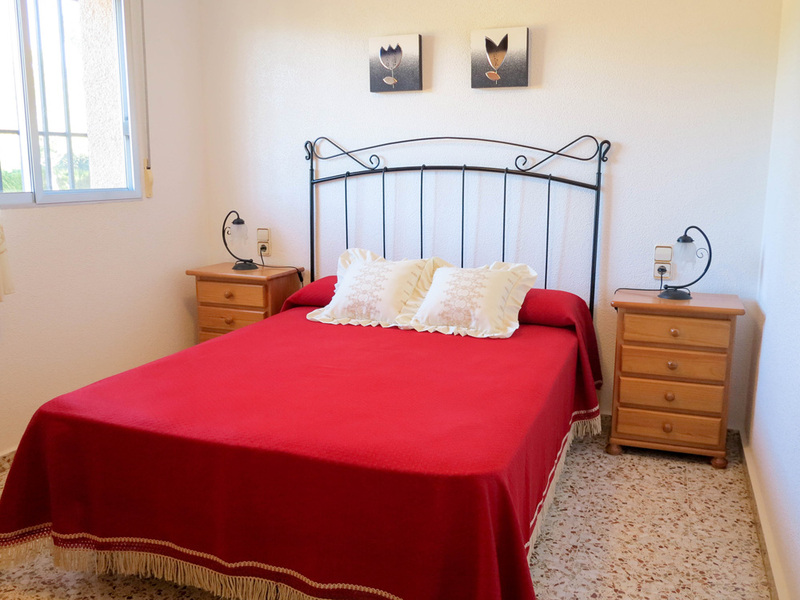 The villa has three double bedrooms and there is a family bathroom with a walk-in shower. 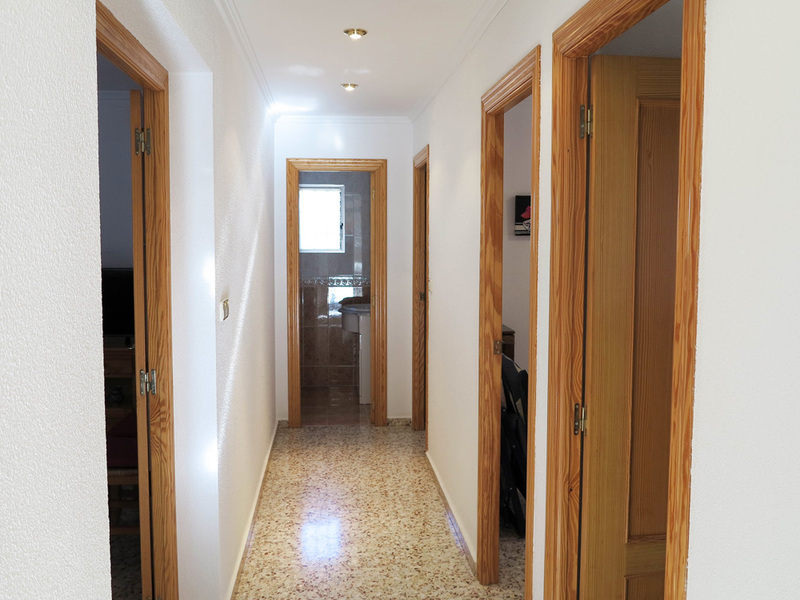 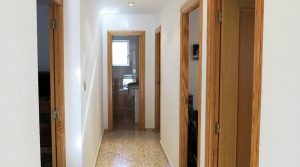 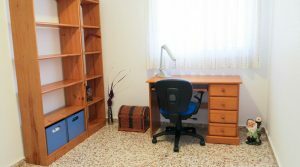 Good quality tiling has been used throughout and with excellent wooden doors on each of the rooms. 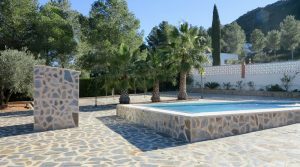 To the right side of the villa, you have a lovely 8m x 4m tiled swimming pool with Roman steps descending as you enter the swimming pool. 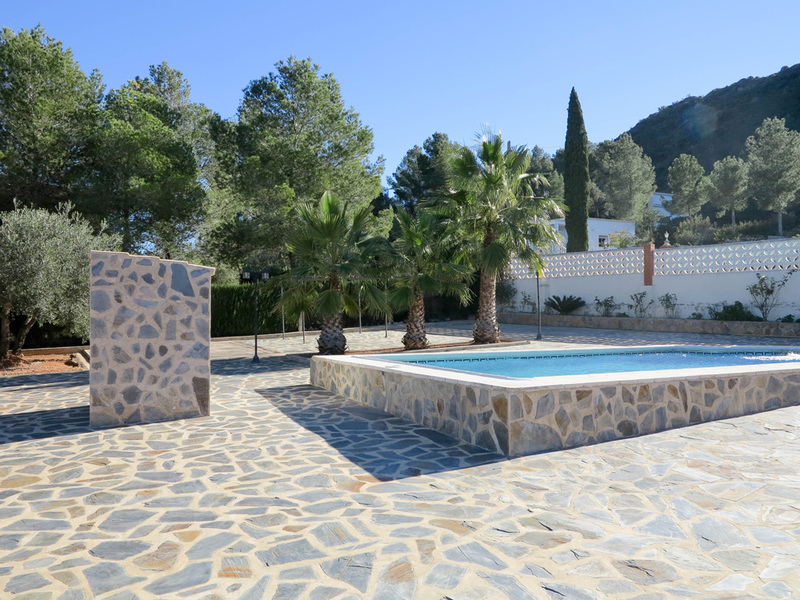 This is surrounded by a stone laid terrace with plenty of space for your sun beds, so as to relax in the sun by the side of your swimming pool admiring the views and not being overlooked. 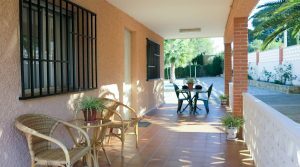 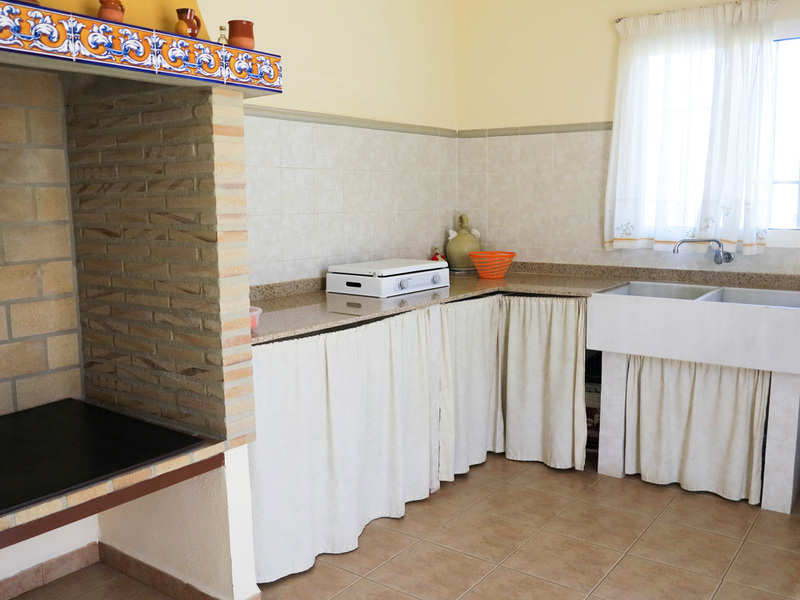 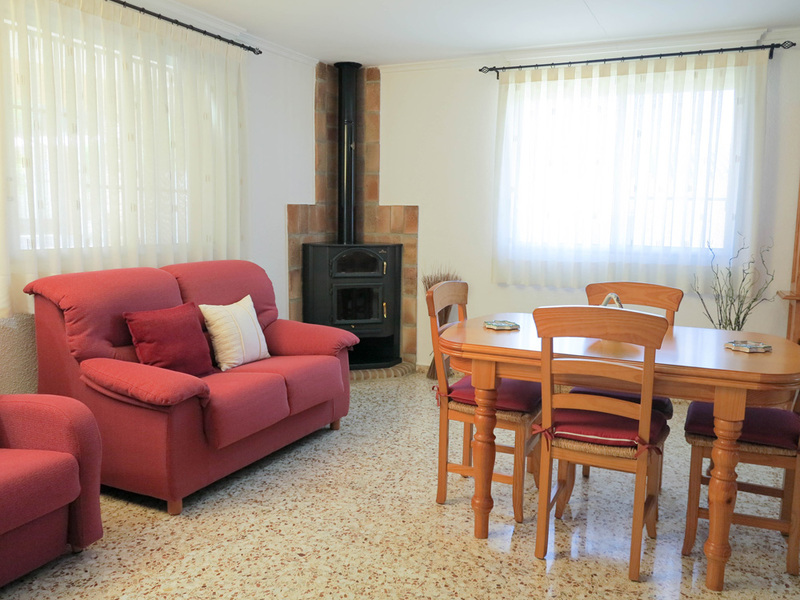 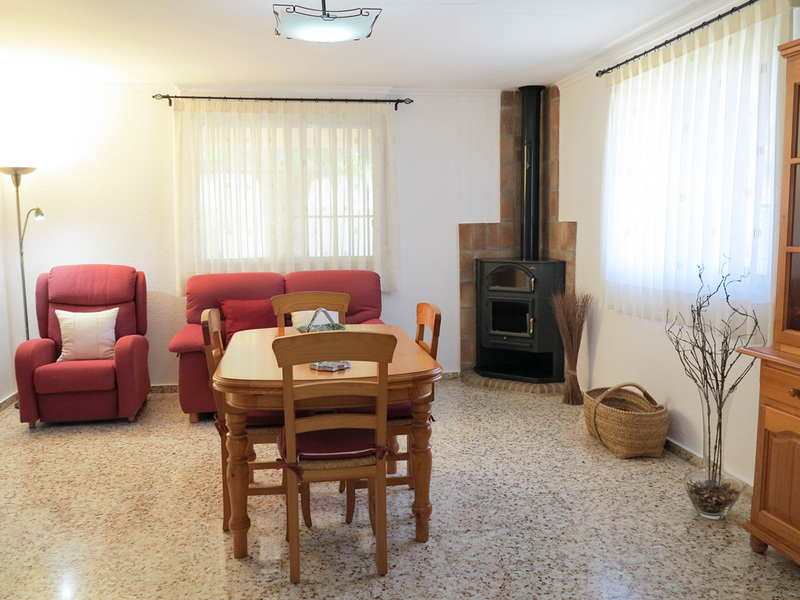 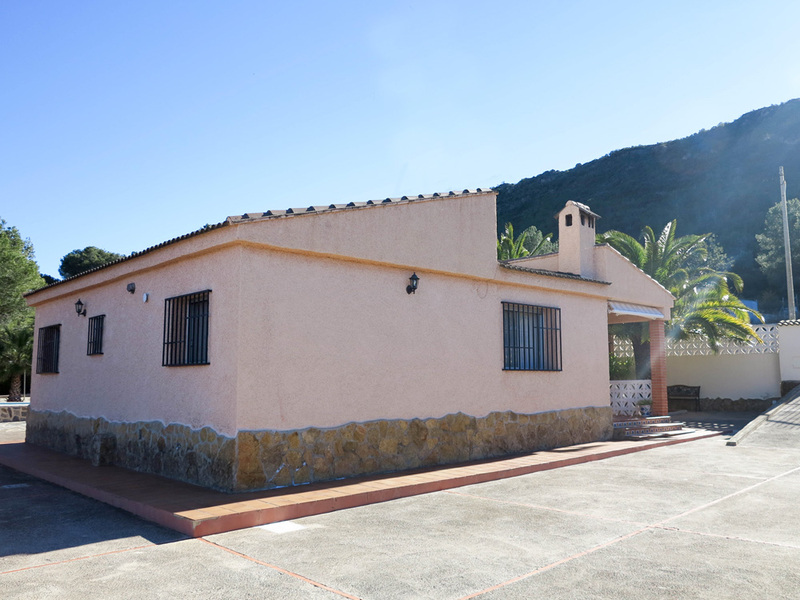 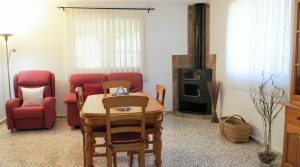 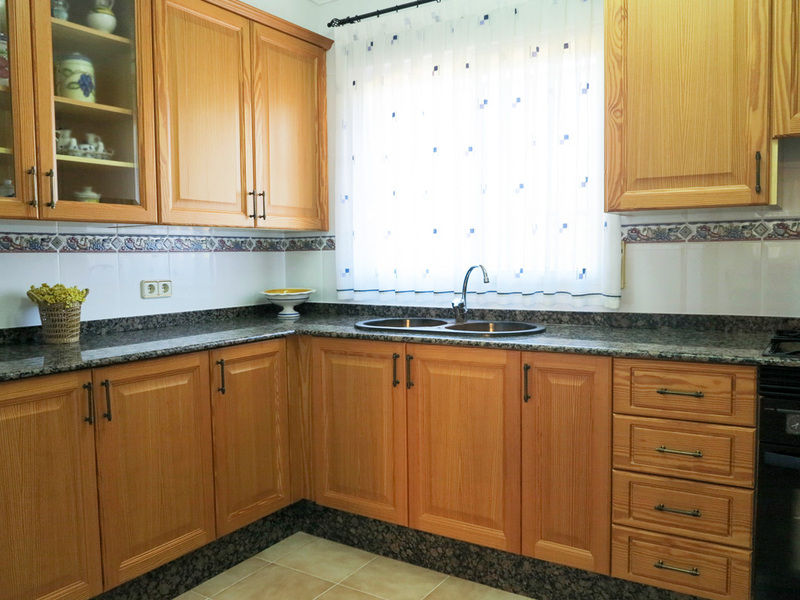 To the other side of the main villa, you have the outside kitchen, equally well presented inside with tiled floor, good units for a paella house. 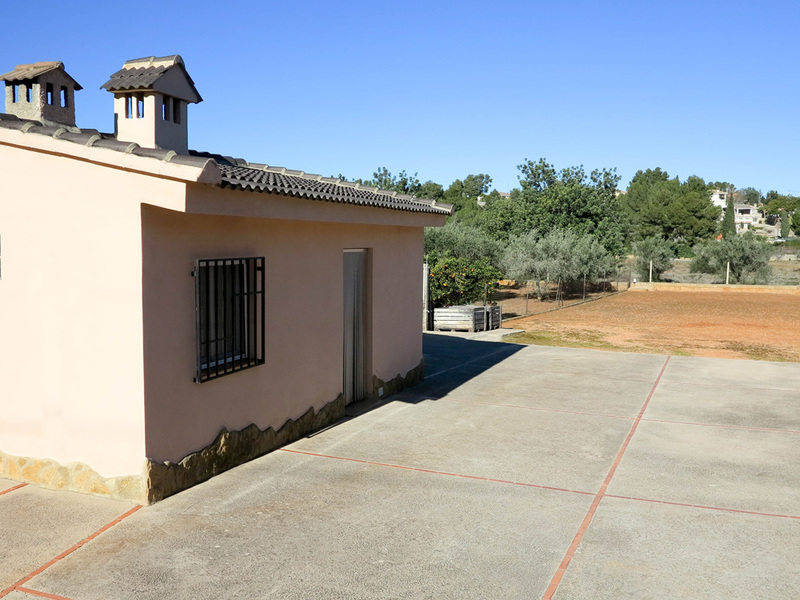 This outside has a spacious separate store room on the side. 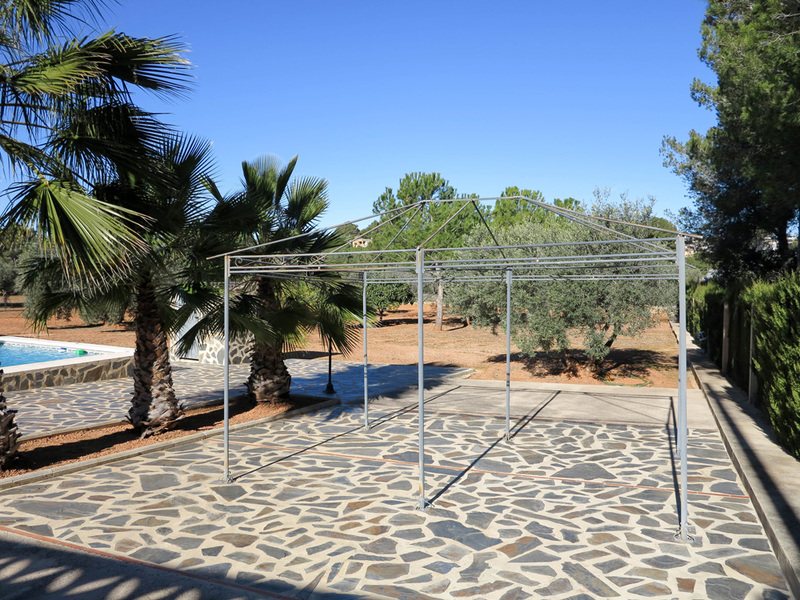 The gardens have an automatic irrigation system so as to water all the plants and trees and you also have good outside lighting surrounding the property. 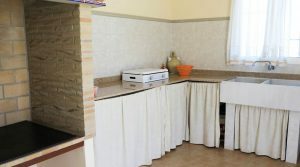 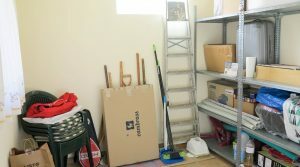 This property is being sold fully furnished minus personal items.